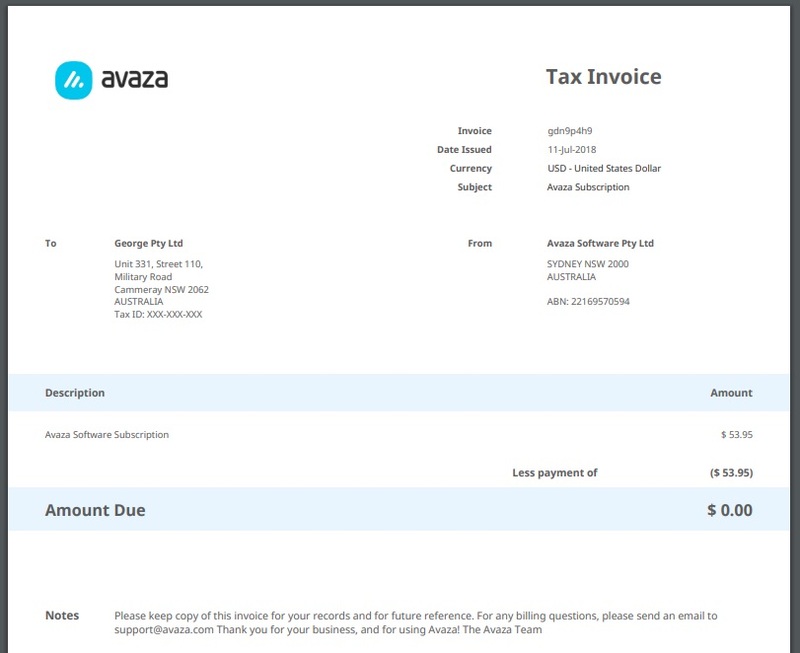 Home > General > General Settings > How Can I Add My Tax Number to My Avaza Subscription Invoice? Some countries and regions may require your tax number to appear on subscription invoices. 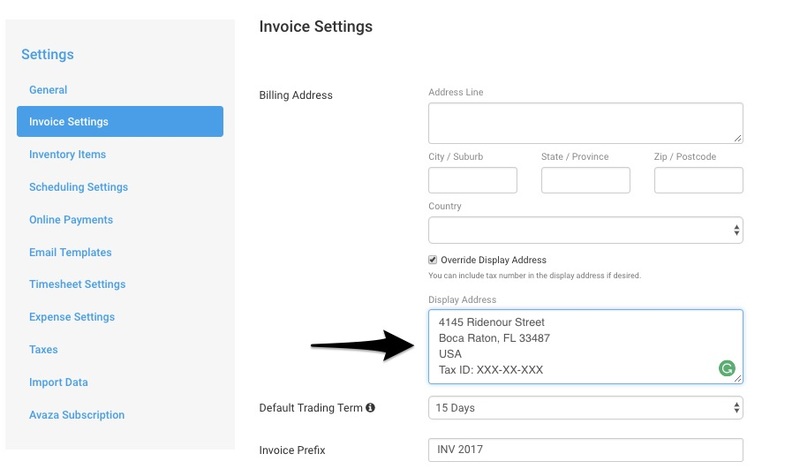 You can add your tax number to your billing address and it will display on your subscription invoices. To do this, navigate to Settings > Invoice Settings. Under the “Display Address” field, you can add your tax number underneath the billing address. You can download your Subscription invoice by going to Settings > Avaza Subscription > Recent Payment History.